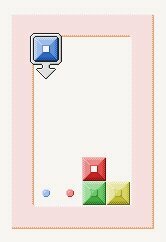 The objective of Cubeoban is to push/pull all the blocks to their corresponding lights. Do this by clicking on the blocks and drag them in the direction you want to push them. Play it here. Level 1 was so easy that even I could do it. Level 2 (the image), started my thinking. hi i've done up to lvl 12 hehehe :D how about you mr. k? Mr. Dixon's on eBay - How Trusted is He?